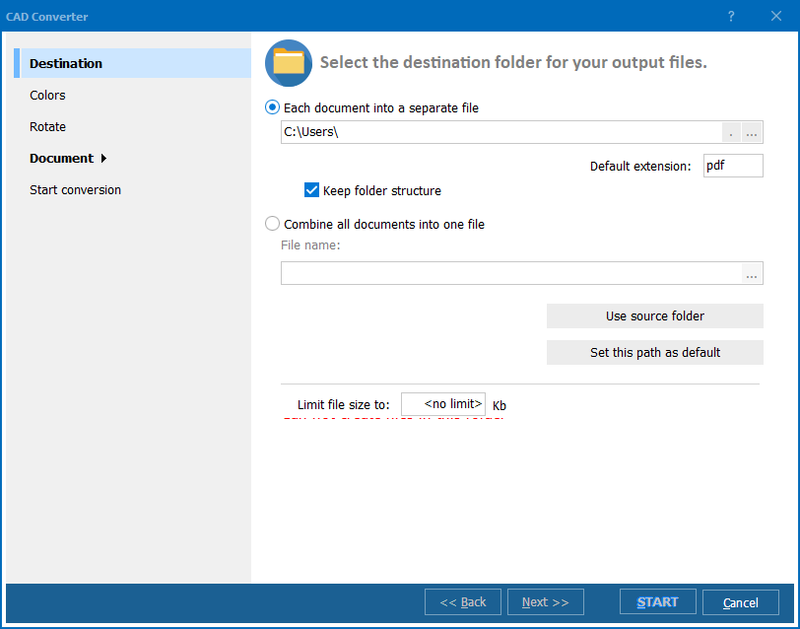 Convert files from PLT to PDF documents automatically. 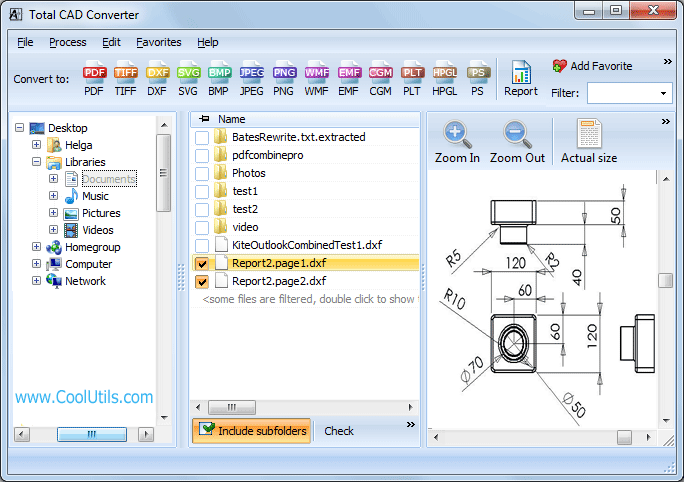 You are here: CoolUtils > Total CAD Converter > Convert files from PLT to PDF documents automatically. The shortcoming of PLT or AutoCAD Plotter Document is that it can be viewed with Autodesk AutoCAD 2013 and ArtCut only. Once you want to view PLT with Adobe Reader or other applications compatible with PDF format, you have to convert PLT to PDF. PDF format is far more widespread among computer users than PLT. A specialized CAD converter can help you to convert your PLT files to PDF. CoolUtils is happy to present Total CAD Converter. It is a unique batch PLT converter compatible with many other formats too. With Total CAD Converter you can export files to PDF, TIFF, PNG, CGM, JPEG, BMP, WMF, DXF, BMP, HPGL, SVG; the list of input formats is even more extensive. Download Total CAD Converter from the official website of CoolUtils. It is available both in a free 30-day evaluation version and in a registered version. Install Total CAD Converter by running the .exe file and following the instructions of the setup wizard. Open Total CAD Converter by double-clicking on the desktop icon or launching it from the command line. Select the PLT files from the list of files automatically generated by Total CAD Converter. 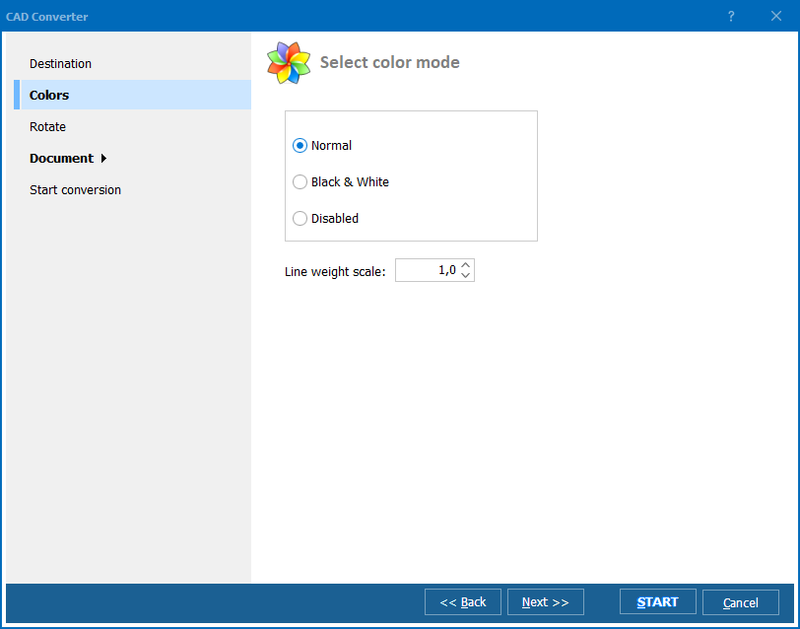 Set PDF as the target format by clicking on the "PDF" button located on the program's tool bar. Then click "Start!" in a new window to begin conversion with the default settings. 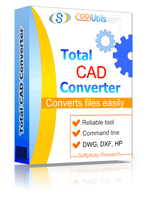 Download Total CAD Converter now! The trial version is free and requires no registration! Contact CoolUtils to learn more about this product and other applications today! How to convert HPGL files to PDF? How to convert SVG to PDF document?